Pat Siering set a school record with 299 putouts at first base this season. Wiens led the Gusties in hitting with a .368 average. The Minnesota Intercollegiate Athletic Conference baseball coaches recently released their post-season awards and Gustavus Adolphus College seniors Pat Siering (Eden Prairie, Minn.) and Robby Wiens (Burnsville, Minn.) were recognized with awards. Siering, a first baseman, was named to the All-Conference Team for the second consecutive year, while Wiens, an outfielder, was named to the Sportsmanship Team. Siering, a four-year letterwinner and three-year starter for the Gusties, hit .336 in 39 games with 43 hits in 128 at-bats this season. He led the team in RBI with 28 and was second in total bases with 60. In the field, Siering set a new school record for putouts in a season with 299 and led the MIAC in putouts with 161 and fielding double plays with 18. He also left his mark on the Gustavus record book as he ranks in eight different career categories and seven different single season categories. Siering leaves Gustavus ranked second all-time in career triples with nine, third in career putouts with 696, fifth in RBI with 93, tenth in games played with 139 and runs scored with 81, and 18th in career batting average at .321. 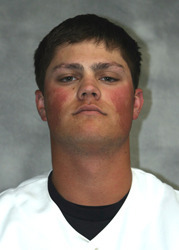 Wiens, a four-year letterwinner and two-year starter, led the team in hitting with a .368 average. He also led the team in slugging percentage (.586) and on-base percentage (.463). As the starting left fielder, he led the outfied in field percentage at a perfect 1.000 percent. He recorded 39 putouts and six assists without committing an error in 33 games. Each team selects one player to the Sportsmanship Team and that player is selected for his contributions to team play, his leadership, and his example of good sportsmanship. 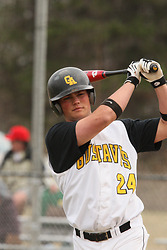 The Gusties finished the 2008 season with a record of 21-18 overall and placed third in the MIAC with a record of 12-8. Coach Mike Carroll’s squad qualified for the MIAC Post-Season Tournament for the third consecutive season and advanced to the third round of the double-elimination tournament before bowing out in a 15-6 loss to St. Olaf. Siering and Wiens were significant contributors to teams that compiled an overall record of 91-63 and a league mark of 51-29 over the past four seasons.